fractions with the number 2, 5, 10 or their multiples in the denominator ARE decimal fractions! 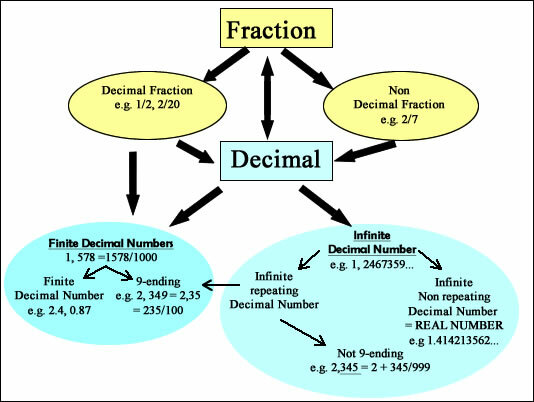 For further understanding, here is a picture to summarize fractions and decimals relationships. "Is a decimal fraction always finite?" "Is a non decimal fraction alway finite?" Is a decimal fraction always finite? YES! Do you understand now why we use them? because they are easy numbers to deal with! Leonardo in his famous Codice Atlantico, makes quite many mistakes with fractions , so don't despair! I stop here (there are more mistakes he made). be effectually taught. FITCH, J. G.